There’s this great moment which I’m sure everyone who plays SnipperClips will experience – it’s a few levels into the game’s campaign, where this thought will pop into your head: “this would be much more fun with a friend”, or better yet, “I would appreciate the help of a friend”. And they'll go and find a friend to play with, and then they will be sold on the Nintendo Switch completely. 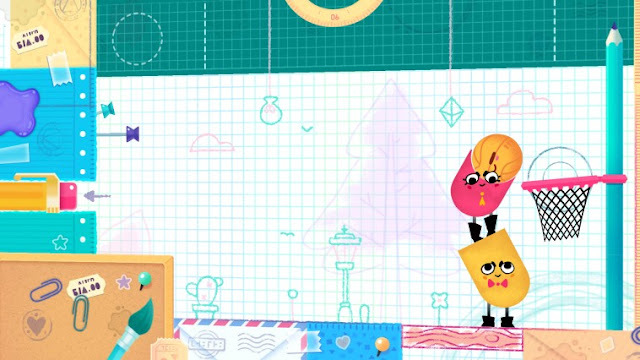 SnipperClips is a puzzle game where teamwork is necessary to reach a common goal. It’s possible to do it on your own, but so much more fun and fulfilling to do it with a buddy. 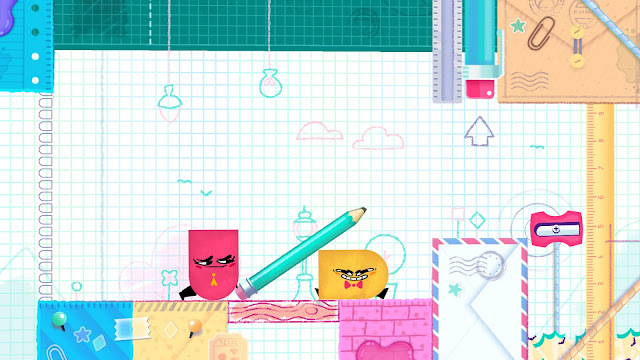 I’d regard it as the quintessential Switch game as it’s a metaphor for the Switch itself; SnipperClips is immediately sharable, innately fun and uniquely Nintendo. The game’s tutorial does a great job of explaining what SnipperClips is all about. 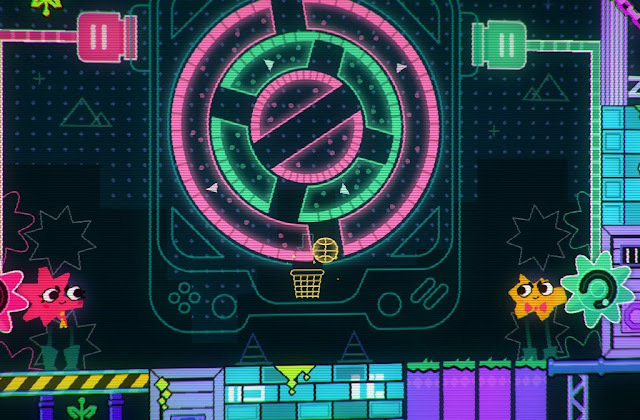 Each player is a shape with a round end and a square end, and the controls are akin to a puzzle platformer. The signature mechanic is each player’s ability to cut another player by overlapping their bodies together and pressing the A button. If a player messes up and cuts their teammate incorrectly, the tattered member can reform themselves by holding Y. Puzzles are solved by manipulating the shapes of your friends to interact with the environment, and start simple but ramp up to imaginative heights. The level design entwines perfectly with solid mechanics to test players’ problem solving abilities. 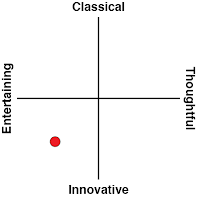 Each level is a simple challenge with an immediately visible solution – most boil down to moving X objects to Y location – but reaching the goal will require careful shape manipulation, lateral thinking and teamwork. Simple puzzles will require one player to hold down a switch while another pushes an object through the newly opened gap. Complex puzzles will require precise cutting and balancing before orchestrating a meticulous game plan. Each level is the size of a screen so all important pieces of the puzzle at hand are immediately visible, and finding the solution is a shared experience which feels incredibly rewarding. 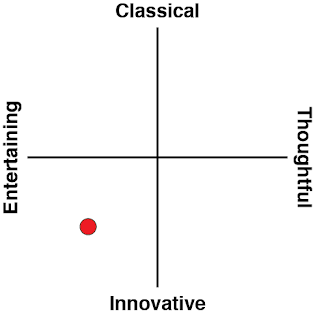 But what about those who would rather play solo? Tough times, it seems. While all the puzzles in the main campaign are theoretically completable alone, it stops being fun to attempt to do so after the first world or so. Single-player mode puts you in the shoes of two shapes at once, and you’ll have to switch between them with the X button. Not only will you need to work extra hard to get your pieces to the right locations, but solutions which would have been easily sussed out with some simple discussion instead become baffling ordeals. Once you find someone to play with, however, SnipperClips is an absolute dream. The levels are easy enough to understand that anyone can play, regardless of gaming experience, and the game’s pace is easygoing enough to never become stressful. New players can acclimate to the controls comfortably, knowing that it’s rarely possible to irreversibly fail a level. The graphics are simple and clean, with a cute aesthetic which will please younger players without patronising older ones. And despite all this safe design, levels still manage to be raucous affairs as later stages will have you confused and laughing like you’ve become tangled up in a game of Twister. If there had to be a downside, it’s that the game’s 45 two player levels have defined solutions: once you’ve beaten them, there’s not much fun in revisiting them. Should you have a few more keen friends, SnipperClips also offers a four player mode which boasts 21 of the most difficult challenges available. Mustering the coordination of four players at once is no easy feat, so it’s especially rewarding when the stars align and your team successfully arrange themselves to form a solution. Once you’re tired of being nice to one another, it’s a good idea to indulge in the game’s Blitz mode, consisting of basketball, air hockey and battle minigames. The same game mechanics apply in Blitz, so it’s viable to win a game of hockey by cutting away your opponent’s puck into nothing – very satisfying indeed. Ultimately, SnipperClips is an experience to be shared. It’s a great game for introverts, for families who game apart and for friends who want to introduce others to their hobby, simply because it’s wildly successful at moving the solitary experience of completing a puzzle into a safe and welcoming social sphere. It gives you a common goal which everyone can understand, and an environment where players will genuinely need each other’s help to succeed. It also boasts a fair amount of content which will last a few solid afternoons with friends. With the only barrier of entry being that you’ll need someone (literally anyone!) to play with, SnipperClips is a game which is sure to delight any Switch owner.